Did you remember to refill your heartworm medication? What about flea/tick preventative? Is it Sunday and did you run low on your pet's Rx diet? You are in the right place! We have ALL the products that you could possibly need, and all at competitive prices to the "other" on-line stores.  Best of all, you know that your medications and food are coming from us, Woodlake Animal Hospital, where we can stand behind every product you purchase. So, check out our online store - first step, click the link below so we can set up your online account today! Reminder: This page is not affiliated directly with our webpage- if you created an online account for our website, you will have to create a second online account/password for our online store. All active clients have been sent a "Welcome" email and instructions on how to utilize our online store. If you would like another email, or are not an active client, please follow the above link and it will request a new user name and password. Questions? Please do not hesitate to email or call us... Thank you for using our proxy store, and please let us know if we can do anything to make your visit easier!